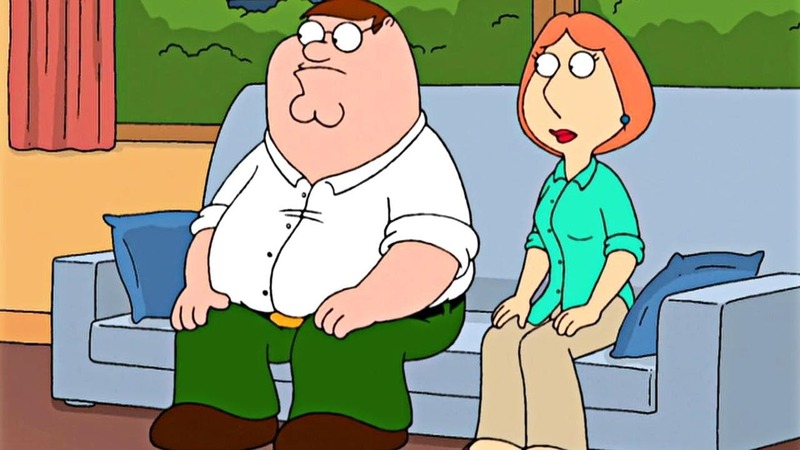 Peter’s jealousy reaches new heights when he accompanies Lois to the gynecologist. As the doctor prepares to examine Lois, Peter refuses to let him near her. Later, while shopping, Lois runs into an ex-boyfriend, Ross Fishman, who innocently asks her out for coffee. Fearful of Peter over-reacting, Lois sneaks off to meet Ross. At the same time, Joe picks up Peter for a joyride in his new high-tech surveillance van. While parked outside a diner, they see Lois and Ross inside. Using the van’s high-tech gadgets, Peter misinterprets Lois and Ross’ words. Angered, Peter decides to make Lois jealous by hiring prostitutes to pose as his ex-girlfriends. Realizing their marriage needs help, Lois and Peter see a marriage therapist, who suggests placing video cameras around the house for a week. After viewing the tapes, the therapist recommends that Peter and Lois date other people during a trial separation. Quagmire, hoping to take advantage of Lois’ vulnerability, invites her on a date to a restaurant where they run into Peter and his gorgeous date, Jennifer Love Hewitt. Lois becomes enraged with jealousy and shoos Peter’s date away. They leave together happily. 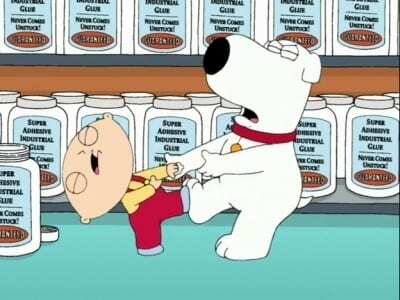 Meanwhile, Stewie and Brian accidentally super glue themselves together at the store. They have to wait a week before the solvent arrives in the mail. While stuck together, they actually begin to like one another. Of course, things return to normal the moment they’re released from their glued prison.